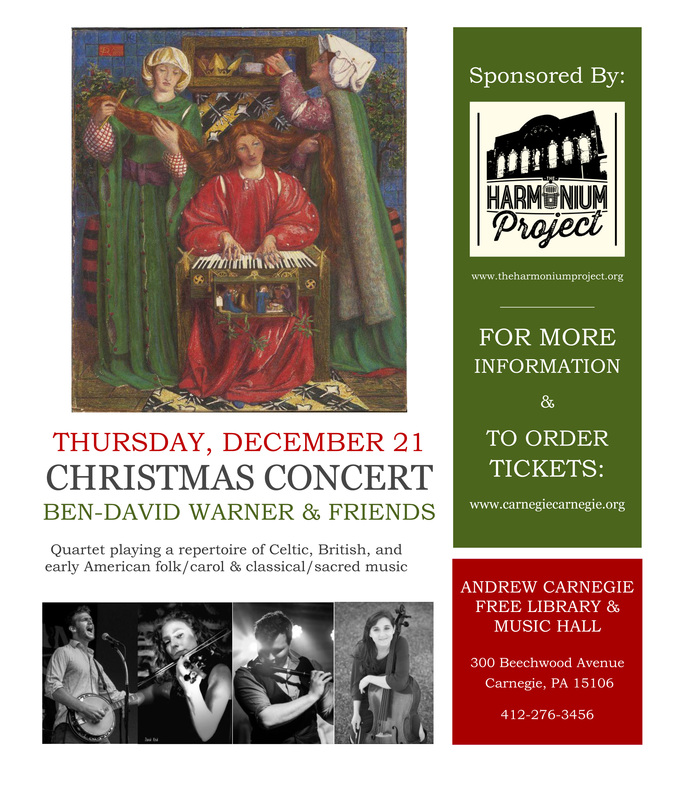 Join Ben-David Warner & Friends for a special Christmas concert featuring Celtic, Early American, and Carol folk music! A full-band, acoustic, Celtic Christmas Concert Experience! Ben-David Warner (vocals, guitar, banjo, fiddle, guitar dulcimer) lives with one foot in the sacred/choral music world and one in the folk music world. He is currently the assistant conductor of The University Singers at the University of Virginia as well as the assistant conductor of The Oratorio Society of Virginia. He is also a professional touring folk musician and a former member of the Celtic/Americana band Scythian.